People often ask me what products I’m really loving. The truth is, I try out a lot of products but I have only have a handful that I really engage with on a regular basis. My new favorite product of the moment is something called Poshmark. Poshmark is a way for me to sell clothes that I don’t want anymore and buy clothing from other people. 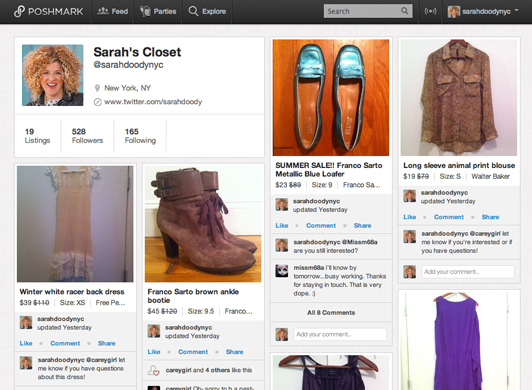 What I love most about Poshmark is that they took a very analog experience and applied technology to enhance it. Prior to Poshmark, if I was trying to declutter my closet I had a few options. I could give the clothing to friends, donate the clothing, or throw it out. Donating the clothing is the ideal option, especially because of the tax receipt. But, the process of donating clothing is very full of friction — especially if you don’t have a car. When I purge my closet, I end up with large bags of clothing, shoes and accessories to donate. Then, I have to carry all those bags to a donation center and more than once had to make two trips or hire a taxi because I couldn’t take it all on the subway. However with Poshmark that has all changed. 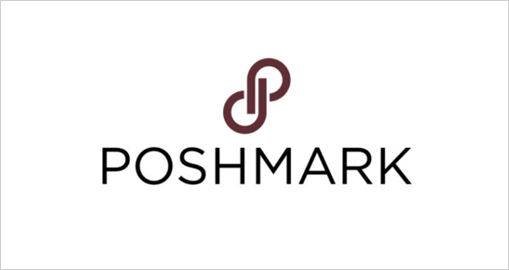 Now when I decide to get rid of unnecessary clothing, I simply open the Poshmark app on my iPhone and in a very seamless and easy userflow list each piece of clothing, identifying details such as brand, size, quality, original price, and asking price. Within a few short minutes I can easily list all the unwanted items from my closet. Then, I just sit back and wait for people to either like or comment on my listing. If someone does purchase an item from me, Poshmark sends me a link to print a prepaid shipping label and then I just put the item in a box, attach the label, and put it in a mail box. So simple!! I’ve sold a few items on Poshmark (need a Tumi messenger bag? I’m selling one) and have bought some as well. My overall experience has been great and the quality of the items I’ve purchased have been exactly as described from the sellers I’ve encountered. I love products that take a offline experience and apply technology to improve the user experience. I think Poshmark is a great example of this. Do you have any examples of products that have created a new user experience around an existing behavior. I’d love to hear about them in the comments below!